Well, they are not all new and they are not kids, but for some reason I liked the name. The previous installment of the High End Tactical article series was finished just before 2011 SHOT Show. At the time I figured that there will be something new announced at SHOT worth including in the next article. I was not wrong. 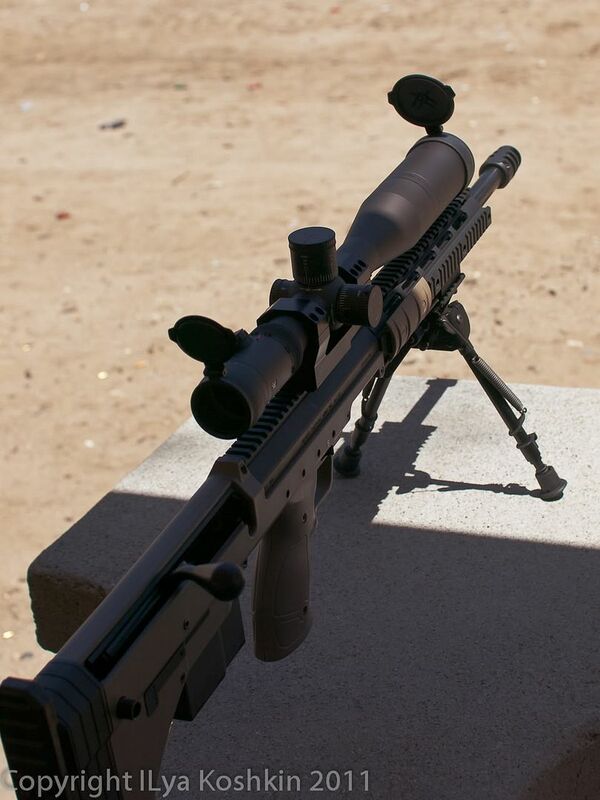 First and foremost, Steiner decided to jump into the realm of scope making and started right in the deep end of the pool with a family of very high end tactical scopes slated to retail in the $2500 – $2700 range. I spent some time looking at their scopes during SHOT and asked for a 4-16×50 model that I could put through its paces. 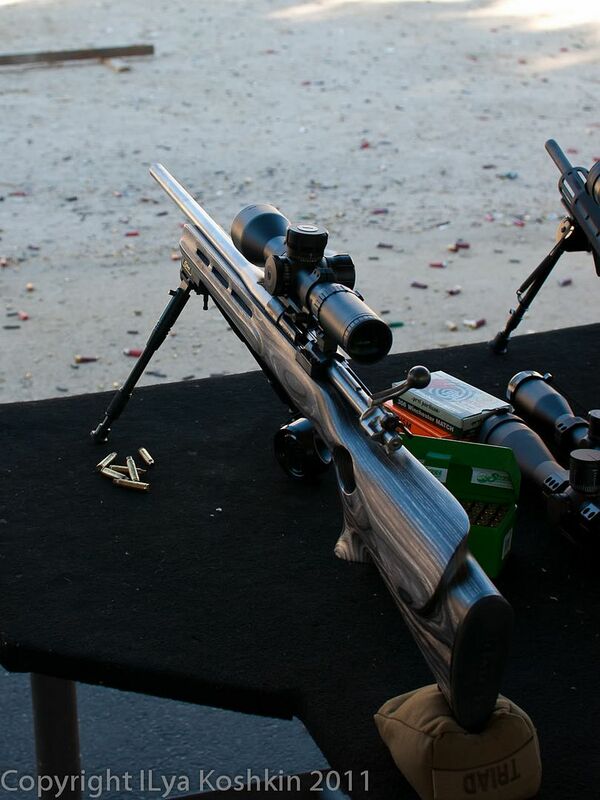 Premier Reticles introduced a couple of 3-15×50 scopes based on 30mm tubes (a first for Premier). One is a Light Tactical which I thought would fit in well here. 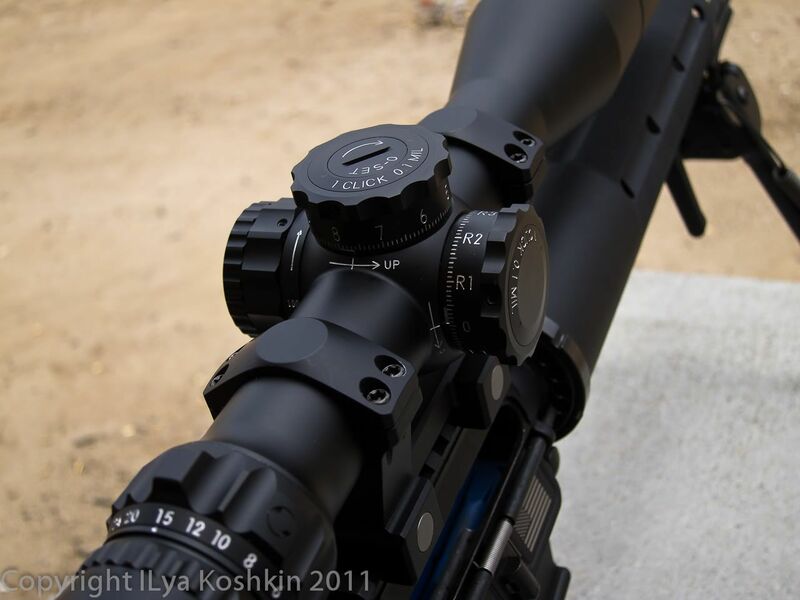 Bushnell and Horus teamed up and came out with a Japanese made 3.5-21×50 scope on a 34mm tube. Technically, this scope is a bit cheaper than the other models I was going to look at, but it is the highest end scope Bushnell makes, so I thought it was worth a look. 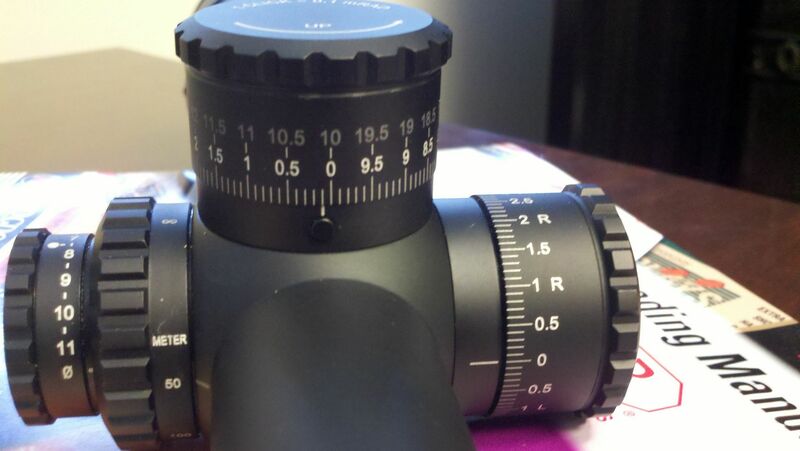 Vortex redesigned the eyepiece on their 5-20×50 Razor HD scope to address the complaints about critical eye relief, so I secured one of those as well. Somewhat unexpectedly, SWFA announced their highest end SS scope to date: 5-20×50. Both price and configuration seemed to fit right alongside the Bushnell and not that far away from the Vortex Razor, so I added one to the article. March’s first FFP design, the 3-24×42, featured prominently in my previous High End Tactical article, so I am not going to spend too much time on it here. However, this time I have a full-on production version with a production reticle so I looked at it as well, mostly to see if it is substantially different from the prototype I saw earlier. Lastly, I held onto S&B PMII 4-16×50 I looked at earlier to provide some continuity with the previous article. 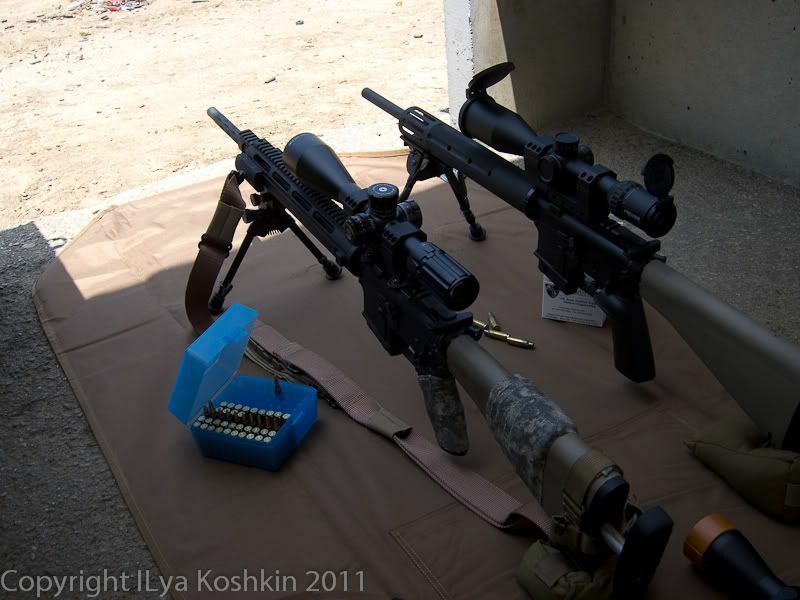 I mostly used it for the optics comparisons, to see how the newer scopes stack up against it. I had already testing its mechanical quality thoroughly earlier, and so no need to repeat the effort. March is the smallest and lightest scope here (again) by a solid margin. S&B and the new Premier Light Tactical have the least total adjustment range (although Premier does it with a 30mm tube vs S&B’s 34mm; 34mm Premier has a lot more adjustment available). Bushnell is the only scope here without reticle illumination. SWFA and Bushnell are the only scopes here without ZeroStops. While all of the scopes here have exposed knobs, Bushnell is the only one with locking turrets. Adjustment per turn varies from 5 mrad per turn (Bushnell and Vortex) to 6 mrad per turn (Premier) to 10 mrad per turn (SWFA, Steiner and March) to 13 mrad per turn (S&B). For long range shooters, this can make a big difference. After looking at the configurations and prices, I decided to subdivide the article into two sections with two somewhat different comparisons. The first part will focus on how Bushnell 3.5-21×50, SWFA SS 5-20×50 and Vortex Razor HD 5-20×50 stack up against each other. These three are a little less expensive than the rest of the scopes here and are very similarly configured. The other section will mainly focus on the Steiner and Premier Light Tactical and how they compare to the S&B. March, naturally, does not fit very well with either group, but it is priced closer to the Steiner and S&B. I will talk about March intermittently in both sections and revisit it a little in the end. There are three scopes here that fall into the sub-$2000 category. Generally speaking, I would not be surprised if there were a couple more entrants into this category over the next year or two, but for the time being these three (along with Leupold Mark 4 ER/T 6.5-20×50 and IOR 3.5-18×50) are it for this general configuration, i.e. max magnificaton in around 20x and 50mm objective lens. Whether they really belong in the “High End Tactical” article is kinda an open question, but I think they do. They are excellent mechanically, very good optically, nicely specc’ed out and not exactly cheap. I briefly considered splitting them out into a completely separate article, but chose against it once I took a good look at the scopes. No, these scopes are not quite as good as the really fancy stuff (Hensoldt, S&B, etc), but they are not all that far off, so their value proposition is hard to ignore. All three scopes survived my testing without any hiccups. They spent a little time on DTA SRS chambered for 338Lapua, had a brief stint on a 223Rem AR-15 (except for the Bushnell which landed on a 308Win boltgun) and ended up on another AR-15, this one chambered for 6.5 Grendel/264LBC where I did the bulk of the tracking tests. Knobs: I like the knobs on all three. SS has the advantage of 10 mils per turn. Razor has zero stop. Bushnell has locking knobs. In terms of feel, I still think that March makes the best knobs out there (for me) closely followed by the new SS and Premier. Bushnell and Razor do have very reassuring widely spaced clicks that are easy to use. The controls on all three scopes are pretty well worked out and are smooth and repeatable. Side focus knobs on all three worked well, but were a touch too fast for my tastes on the SS and Razor HD. Bushnell seemed to have marginally smoother travel or, to be exact, it is simply a little larger in diameter for better leverage. Combined with Bushnell’s shallower depth of field, it made side focus easier to use. They were all very quick to bring the image into focus, but fine-tuning it was slightly easier with the Bushnell. Bushnell has the closest focus distance of 25 yards. Razor focuses down to 40 yards, while the SS goes down to 35 yards. Typically, focusing this close is of importance primarily to rimfire shooters and airgunners. 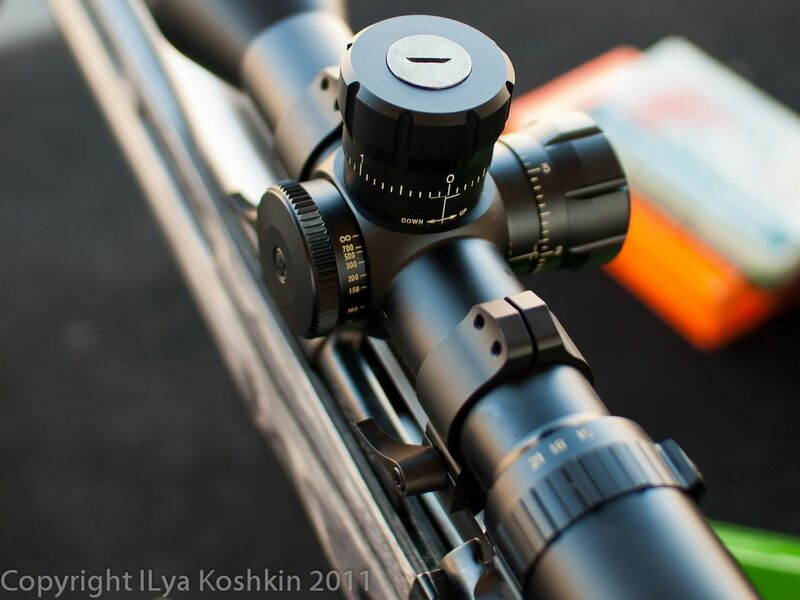 While I do not expect to see these scopes used on non-centerfire guns a whole lot, Bushnell 3.5-21×50 is the most suitable of the three for close range precision shooting. 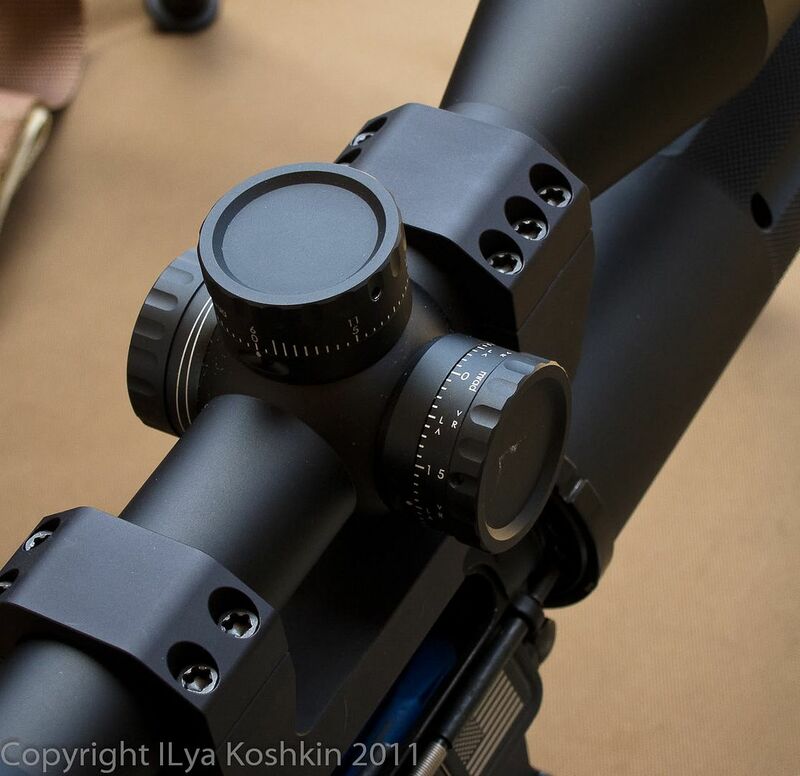 Magnification ring on the SWFA SS is machined aluminum and knurled; it looks almost integrated into the eyepiece. It is a nice look, but it makes it a little harder to grab. For quick operation I suggest a cattail of some sort. Here is a picture of the SS sitting on a tripod (that is how I do a lot of side-by-side tests) mounted using a couple of new Aadmount rings. Razor’s magnification ring, while also not sticking out much, is covered with textured rubber that is very easy to hold onto. Bushnell is somewhere in between the two in terms of usability. Its magnification ring is knurled aluminum like the SS, but it is raised up a bit more, so it’s easier to grasp. I suppose that in order to combine precision feel with the ability to push down on the turrets to lock them, the clicks had to be very widely spaced. They are a little lighter than the clicks on the Razor, while the clicks on the SS are heavier yet. All three are easy to use although for “no eyes” operation I always require a little “hands on” time. That, however, is true for any scope. The choice between the three knob types really comes down to personal preference and intended usage: if you really value a zero stop, go with the Vortex. If you worry about the knobs accidentally turning out of adjustment during transportation (or under some adverse circumstances), Bushnell’s locking knobs look attractive. On the other hand, the SS offers the most adjustment per turn: 10 mrad vs 5 mrad for Bushnell and Vortex. If your application benefits from reaching as far as possible within the single turn of the knob, then the SWFA SS should be high on your list. In low light, Bushnell lagged behind the SS and Razor HD a little, although the margin is rather small. Generally, in terms of optical performance, SS and Razor are very close. Bushnell was a little more sensitive to light coming in from bright light sources outside the field of view. It never exhibited any particularly strong flare, but just enough stray light came in with challenging lighting conditions to make it perform slightly worse then the SS and Razor. It did benefit considerably from a sunshade and, I suspect, will work well with an ARD (I will try to get my hands on one and add a note on how that worked; with a makeshift sunshade I saw a notable improvement). Between, SS and Razor, low light performance was very close. SS had slightly better contrast, but the Razor had better FOV which often helps in low light. Reticles in these three scope were quite different and the choice between them is very personal. Bushnell HDMR that is most commonly mentioned has a Horus reticle. However, the version that I have is equipped with a Mil-Dot, which works fine for me. I have spent some time with a Horus reticle in the past and overall I like the system. However, I am a bit wary of them in non-illuminated scopes due to how difficult they can be to use at low magnification in low light. A simple illuminated dot goes a long way and I see some Horus scopes out there with intelligently executed illumination. I hope that the next version of the HDMR scope will be so equipped. In the meantime, for me, the standard Mil-Dot is kinda like an “old faithful”. While I appreciate the more sophisticated reticles, I do not find myself particularly limited by a standard Mil-Dot. 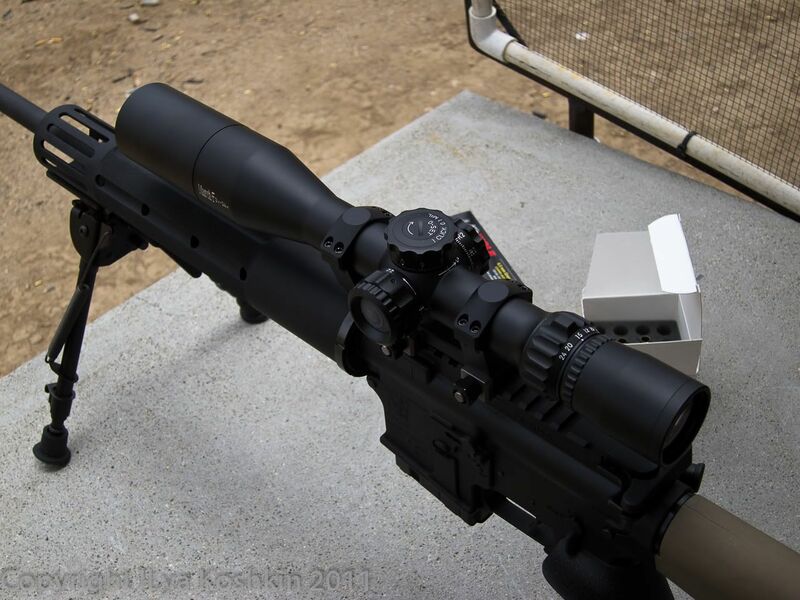 SWFA SS 5-20×50 is equipped with the new Mil-Quad reticle which I liked a fair bit. 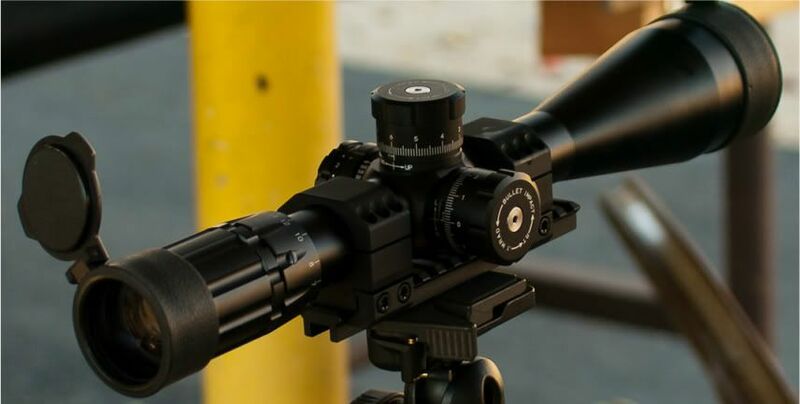 It is different from the somewhat ubiquitous dots and hashes that dominate most current reticle designs and the dimensions of the diamonds offer some additional ease of ranging. 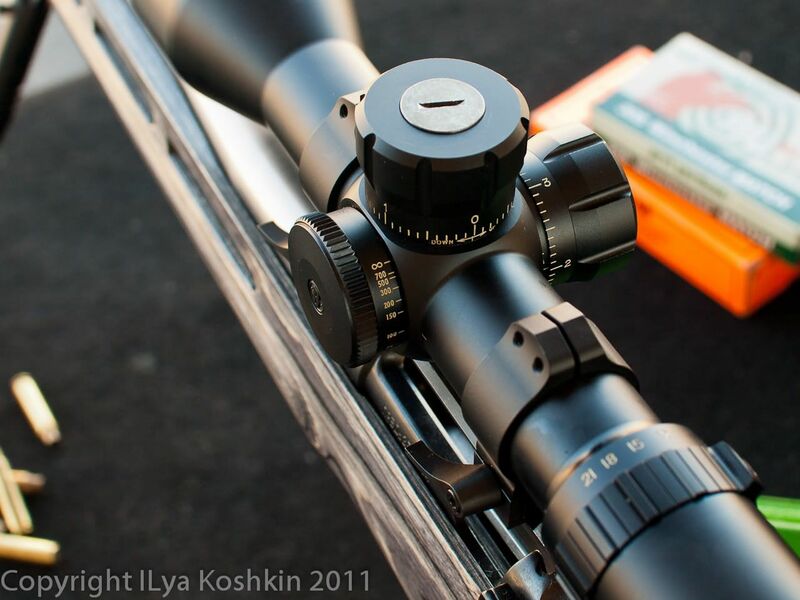 Thick bars on the outside of the reticle are prominent enough to be easily visible even at the lowest magnification. 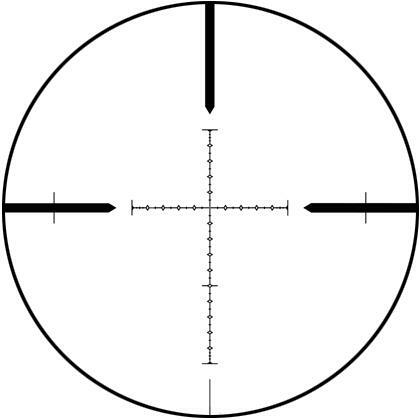 The only thing I wish would have been different is the center crosshair of the reticle: I have grown quite used to reticles with wither open centers or with floating dots (like March and IOR). I find that on scope with FFP reticles, it can be quite useful on high magnifications to have a somewhat open aiming point. Finally, how do they compare overall? 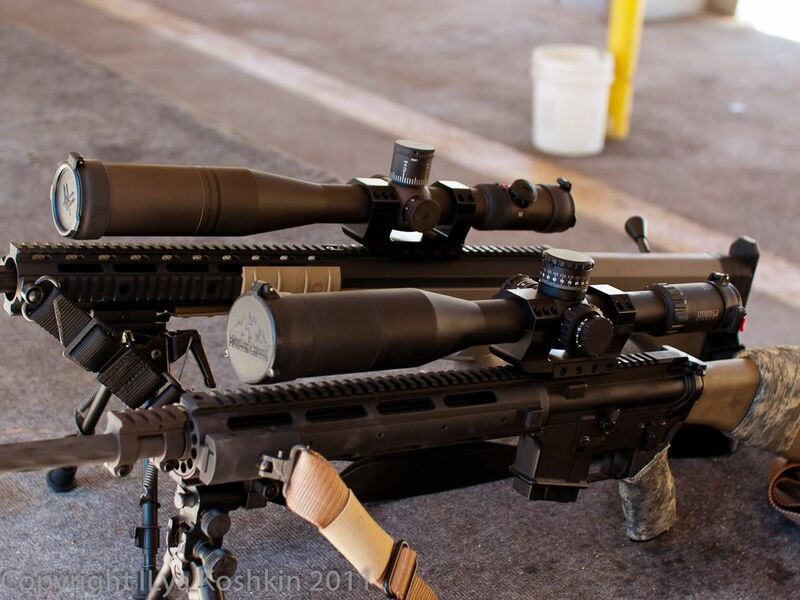 A natural question is how these three scopes stack up against each other. First of all, I have to admit that all three are very good and I doubt that my shooting would be notably better with any one of them. All three are sufficiently good that I would have no one to blame for my poor results, but myself. The choice between the three is ultimately driven by personal preferences and finances. Overall, I think that the Razor HD is still (marginally) the most complete piece out of the three. Besides, it comes with a nice set of accessories including a good set of 35mm rings, flip caps, sun shade and bubble level. Still, even with the accessories in mind, it is the most expensive scope of the three. I suspect the goodies in the Razor HD box come out to be worth about $200-$250, making the scope itself to be about $1750-$1800. It is still more expensive than SWFA SS and Bushnell, but not by as much as it looks at first glance. Nevertheless, the new eyepiece is a notable improvement on the old one and the Razor HD has now been out in the field long enough for its durability to be on record. My intuition tells me that we will see more development of this scope line in the future and considering how well executed this model is, I am itching to see what is next in the pipeline. If I were to define two items that would help the Razor move ahead of the competition, I would go with the following: bump the objective lens up a touch and offer knobs with more adjustment per turn. SWFA SS 5-20×50 offers, in my opinion, the best bang for the buck here. 10 mil per turn turrets really help it stand out. Equally notably, it manages to be very full featured while keeping a 30mm tube which helps with mounting flexibility. Overall, I thought it was marginally better optically than the other two scopes here, although the Razor was so close that it could be due to scope to scope variations. Mechanically, I have encountered exactly zero problems with it, but since the design is new we’ll see how it holds up over time. It certainly looks well built and the two samples I have seen impressed with both mechanical and optical quality. Since this scope is new it is too early to talk about future upgrades, but I would like to see a zero stop on it in the future. I would also like to see a smaller version, perhaps a 4-16×42 or something along those lines. While SWFA SS and Razor HD are in many ways quite similar, Bushnell Elite 3.5-21×50 marches to the beat of a different drum with its short overall length, wide magnification range and pop-up knobs. 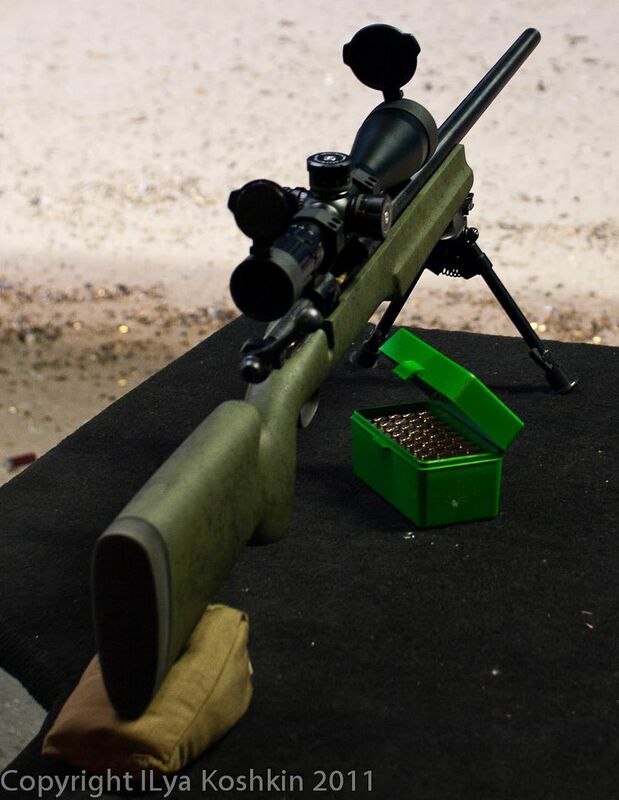 It proved to be a perfect match to my 308Win boltgun, but I can see it equally at home on bigger guns as well. Its feature set is sufficiently different where it might appeal to a slightly different customer, and the design choices overall seem quite logical to me. For example, if I were to equip this scope with a Horus reticle, I would certainly welcome pop-up turrets that can be locked down. Overall, having quite a bit of mileage with other Bushnell Elite scopes, this one was a pleasant surprise for me. I did not expect it to be as good as it is. I know Bushnell is working on illumination options and larger adjustment per turn. Even as is, the scope works very well. 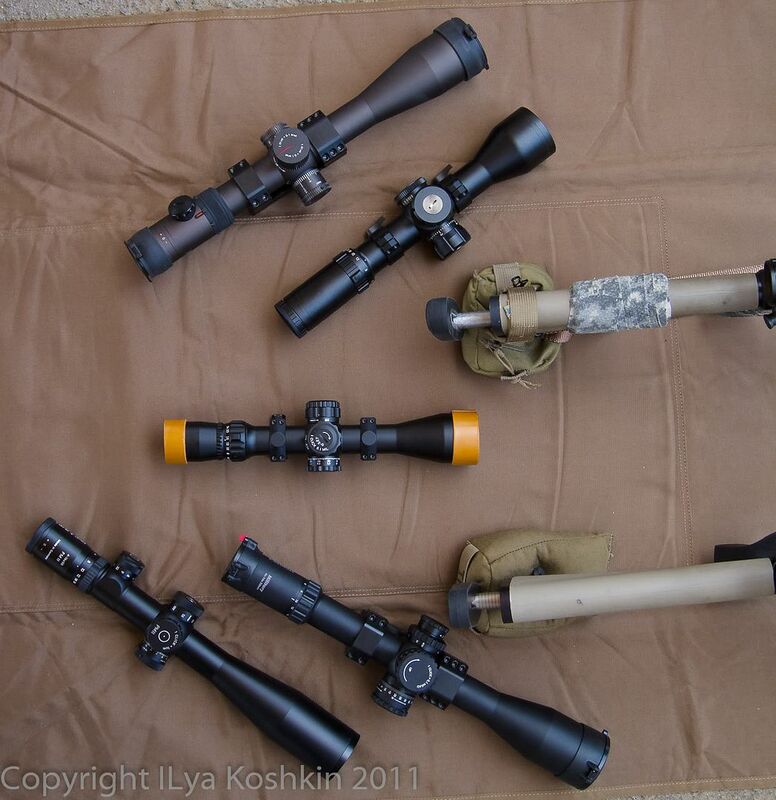 None of these scopes, in my opinion, would really be at home on a compact lightweight rifle, not with 2+lbs they weigh. However, for applications where a little extra weight is not a major concern, they offer very compelling options. All three were a good match to my 338LM bolt gun, although I have to admit I liked the Razor and the SWFA SS a bit more in that role than the Bushnell. I suppose that largely comes down to the reticle differences and magnification ranges. Wider range of the Bushnell seemed like a better match to guns that would be used a little closer in than a 338LM. As I mentioned already, it worked flawlessly on my 308Win. I also thought it was a very good match to a heavy barreled AR platform. 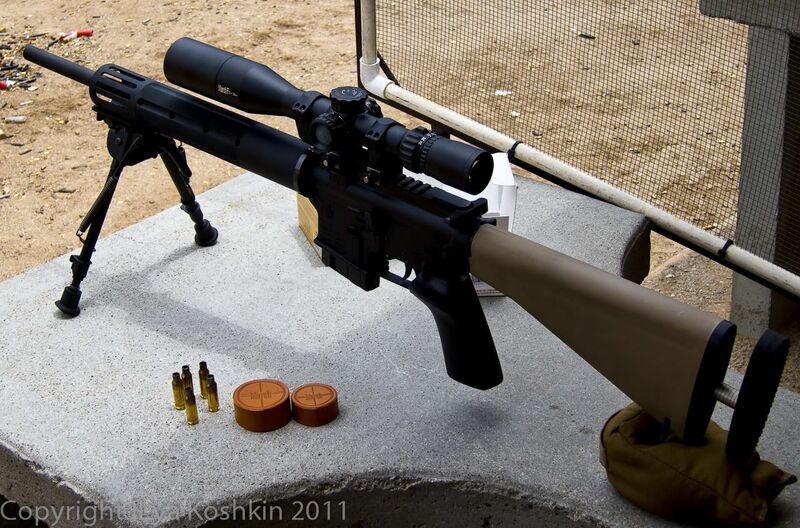 Until fairly recently the choice of riflescopes in the uber expensive price range was limited to just a few players with most pricing their products closer to $3000 than $2000. Only Nightforce F1 seemed to stay in the ~$2300 range or thereabouts. Now, price variation among different offerings got a bit more spread out with two new entrants to this market segment (and I expect another one fairly soon). Here are some observations on how the scopes I looked compare head to head. First of all, they were all good. Very good as a matter of fact. Tracking was superb on all of them. With both Steiner and Premier LT being new designs I spent a ridiculous (in retrospect) amount of time and money (ammo is not exactly free) on testing the repeatability and accuracy of the knobs. Every time I thought I had found an inkling of something wrong, re-testing showed that it was shooter error. Parallax knobs did not exhibit any hysteresis that I could find. While I did not try to outright break the scopes, I did subject them to some measure of abuse and found little to complain about. I did find one quirk on the Steiner, but it looks like the factory has taken care of it already (I’ll come back to this later though). 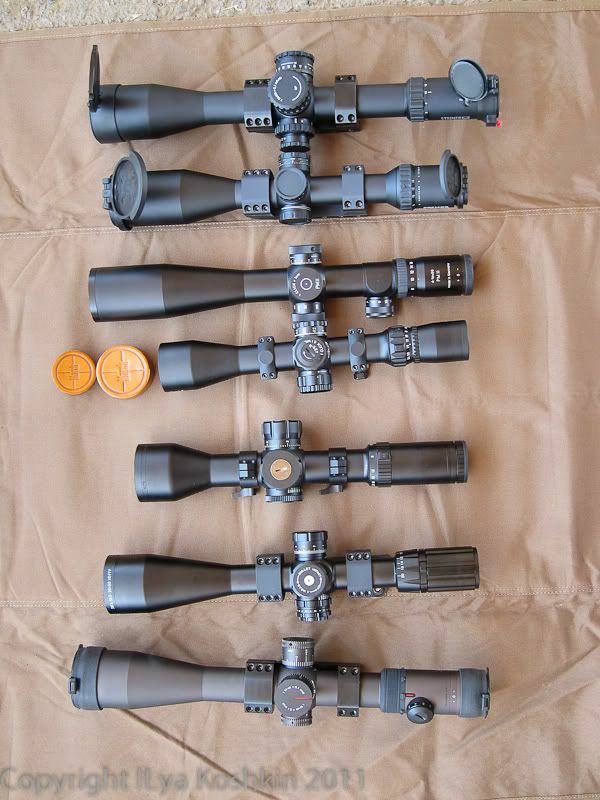 The only real differences between these scopes were largely due to design choices. In terms of overall mechanical quality, to me, March still has the most polished feel of any scope I have tried to date, but the others are not far behind. I have written about the mechanical quality of the March in an earlier article in some detail, so I will not spend much time on it here. Suffice to say that this is the third March scope I have been able to thoroughly test and all three have been consistently superb. Low and wide knobs offer 10 mrad per turn operation and a very simple-to-set zero stop. Side focus is silky smooth with illumination built into it as a rubberized push button. There are two illumination modules available, High and Low intensity, and I have both. I wish that the low intensity module was even dimmer, but it is serviceable. As far as the knobs go, Premier’s new Light Tactical is a bit of a departure from earlier 34mm scopes by Premier. It does not have the innovative tool-less reset feature. Instead, the turrets are held on via two small hex set screws. The turrets are also quite a bit more compact and offer double-turn operation with 6 mrad adjustment per turn. There is an indicator at the base of the elevation turret displaying a number that tells you what revolution you are on. There is also a small indicator at the base of the windage turret that tells whether the knob has been turned left or right. 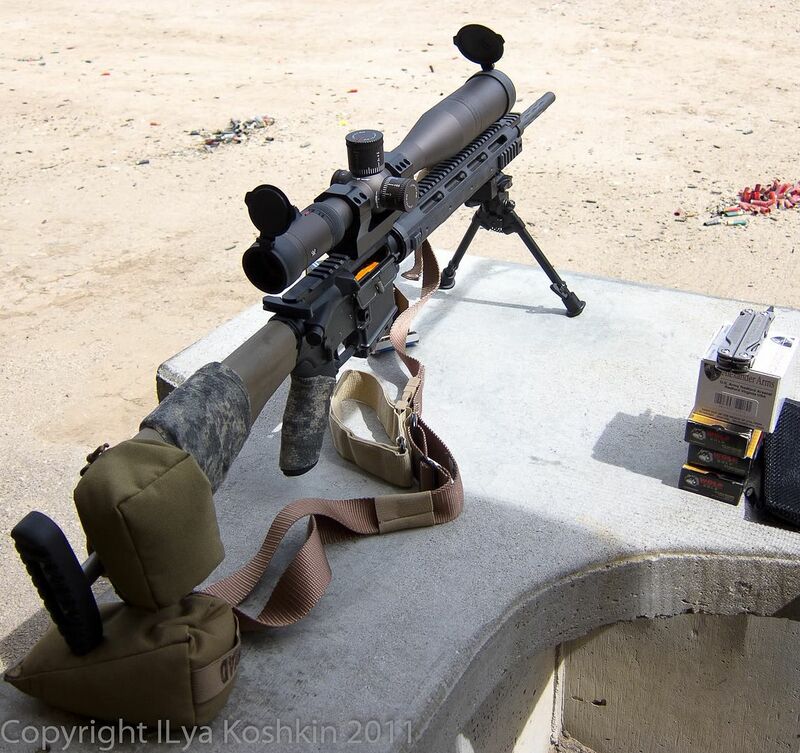 Knob repeatability and feel were excellent on both Light Tactical scopes I tested. Illumination adjustment is built into the side focus knob in a manner similar to the larger 34mm PR scopes, but it is of a non-locking design. In terms of eye relief, Steiner had the shortest eyerelief in this group, but also the most flexible. It was very easy to get a good sight picture at any magnification. S&B and Premier LT were similar in that regard and not too far behind the Steiner. Up to date, Hensoldt has been the scope with the most forgiving eyerelief I have seen to date. I have not been able to compare Steiner side-by-side with a Hensoldt, but it might be close. Perhaps, I’ll be able to do the test some other time. March had the least flexible eye relief, which is not surprising considering its smaller objective lens and overall compactness. I suppose that is a part of the compromise. 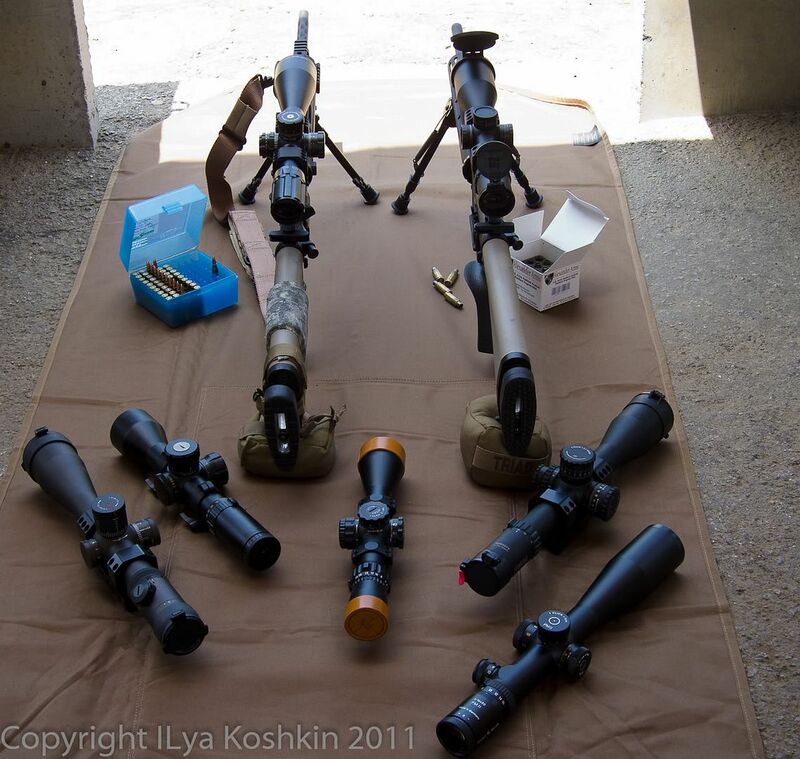 Either way, none of these scopes gave me any particular trouble with eye relief on any rifle I tried them on. 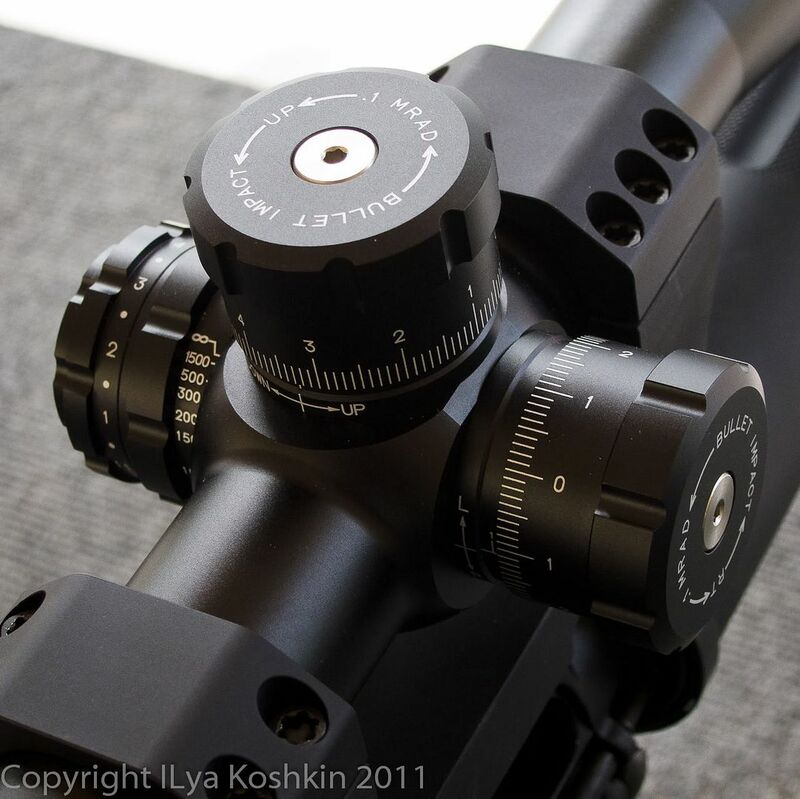 One interesting thing to note was that I found parallax adjustment knobs to be easier to use precisely with these scopes than with the three sub-$2000 models I was testing side by side. In this group all scopes seemed to have a little more travel available for the side focus knob. S&B had the slowest side-focus knob in the group while March had the shortest with Premier and Steiner in between. Optically, March is as good as or better than any scope I have seen to date that has the same size objective lens. Even in this group, it performed very well up until the point where it was limited by the smallish exit pupil. Up until then, it had slightly better resolution and slightly lower contrast than the other scopes here. This is the same observation I have made with March before, so there are no surprises here. March does have rather shallow depth of field and middle of the road field of view, which are parts of the compromise for stuffing large magnification range into a 30mm tube. Between S&B, Premier LT and Steiner, I thought overall Premier was overall the best optically. It is fully equal of its 34mm sibling and offers superbly balanced performance at all magnifications. At high magnification (above 12x), S&B and Premier are similarly excellent while Steiner is just a touch worse. At low magnifications (below 8x), Premier and Steiner are excellent while S&B is a touch worse partly due to the tunneling below 5x. Between 8x and 12x, there is very little to differentiate these three scopes, with Premier seemingly having just a touch better microcontrast. There was no difference on black and white resolution charts, but with Premier LT it was a touch easier to discern subtle variations of shades and textures on poorly illuminated objects. I confirmed this with an extended Macbeth chart and some specialized video testing charts I occasionally use. Premier LT was unusually good at discerning small shade and tonality variations. In low light, all three scopes performed admirably. Steiner had a touch more flare, so it benefited the most from a sunshade. Otherwise, I did not find anything really worth mentioning there. March ran right alongside the larger scopes at magnifications of about 7x and below. At higher magnifications, it suffered from a smaller exit pupil. On the plus side, it had remarkably good flare control. Generally, in flare-inducing lighting conditions, all scopes perform better with a sunshade or ARD and these were not an exception. One thing to note about the Steiner is that it has a noticeable black ring around the image. Interestingly, it is not tunneling and it does not change with magnification. Steiner has minimal tunnel effect if any. It almost looks like the eyepiece is imaging something dark around the image. It is not particularly large or distracting, but it is more noticeable than on the other scopes here. Looking at these scope overall, I few things stand out and here are some overall thoughts on each one. March is still somewhat unique in the high end tactical world since there is really nothing in the same overall size and weight envelope that gets close to March’s performance. I wanted to build a reasonably light weight semi-auto precision rifle that can reach out to a thousand yards, so I put together an AR-15 chambered for 264LBC and equipped with a semi-heavy 18” barrel. I had the lower and the upper was built by Scott Milkovich of Specialized Dynamics for me. It shoots tiny groups with 123gr MatchKings while not weighing much at all. I spent a fair amount of time deciding on a scope for it, since bolting a two pound scope on top of it really changed the balance of the gun (I tried every scope in this article on the little AR-15). In the end, March was easily the most suitable for it. With the March sitting on top of it in a Nightforce Uni-Mount, the rifle weighs 10.5lbs, unloaded, but with a Harris bipod. It is short, light and handy, but it has a lot of versatility and reach thanks to the combination of efficient cartridge and high quality glass. I was very curious to test this scope since this is Steiner’s first foray into the world of fancy tactical riflescopes. Generally, I walked away liking the scope. It is a very solid platform with very well-rounded performance. I would have liked it to be a little lighter and more compact, but as-is the scope has a lot to recommend itself. It is positioned to compete against similarly configured 34mm models from S&B, Premier and Hensoldt, while costing a fair bit less. However, it is still an expensive scope. The specific piece I tested is from a fairly early production run and when I first put it onto the 338LM, the sunshade flew off after the first shot. Up until that point the testing was monotonous (read: boring), so I was kinda happy to finally find a problem that I can sink my teeth into. It turned out that the adapter ring on the front of the scope that the sunshade screws into was coming off under recoil of the 338. Generally speaking, since this is a new product line, I am not particularly bothered by some early problems. However, I was very curious to see how Steiner would handle it, so I sent an e-mail to the gentleman I was dealing with there with a brief description of the problem and a picture of what happened. For a couple days there was no reply, so I was getting a bit concerned. Then I get an e-mail back basically explaining that approximately thirty seconds after hearing from me, they started pulling scopes from the production line for extensive testing of how both the standard and weighted sunshades hold up under recoil. It turned out that some number of the scopes exhibited the same problem as mine and they identified them and implemented a fix immediately. They did not waste any time on trying to tell me that this is an isolated incident or that this stuff never happens or any other such rubbish. Rather than spend time and effort of PR damage control, they instead found the problem and took care of it. If this is how they deal with every minor issue that pops up, I have high confidence in the quality of the whole product line. The reticle available in the Steiner looks like Mil-Dot Gen II with longer hashmarks. It worked well and those longer hashmarks actually aid reticle visibility at low magnification. 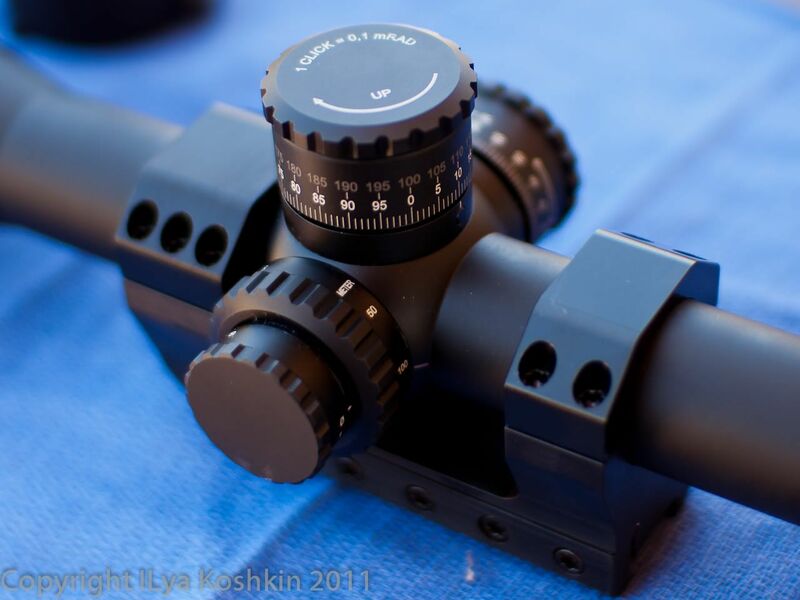 Bottom line is that I liked the scope and since it is new, my primary interest is in seeing how it holds up. Aside from that, I think it has the best reticle illumination scheme in the business. Personally, I would have liked to see it go on a diet a little, but it is a competitive product as is both optically and mechanically. Price-wise, it is an interesting spot sitting squarely below the S&B/Hensoldt/34mm Premier crowd, but above Nightforce F1 and Premier LT. In terms of features, Steiner is about as full featured as any scope out there and comes to market with a very complete line-up: 3-12×50, 4-16×50 and 5-25×56 are aimed squarely at S&B PMII, while the 3-12×56 is likely to go head to head against the similarly configured Hensoldt. Since this is the same scope that I tested for a previous article, I do not think it is worth repeating myself here. It is superb both optically and mechanically. However, it is a somewhat older design than a lot of the competition, which is increasingly significant. S&B could use a little more adjustment range and better performance and low magnifications. I suspect that both of those issues are resolved in the new 3-20×50 model, but I have not tested that one yet. Even as is, S&B with its track record of durability is a very good choice. However, it is expensive and I find myself leaning toward some newer designs in most cases. 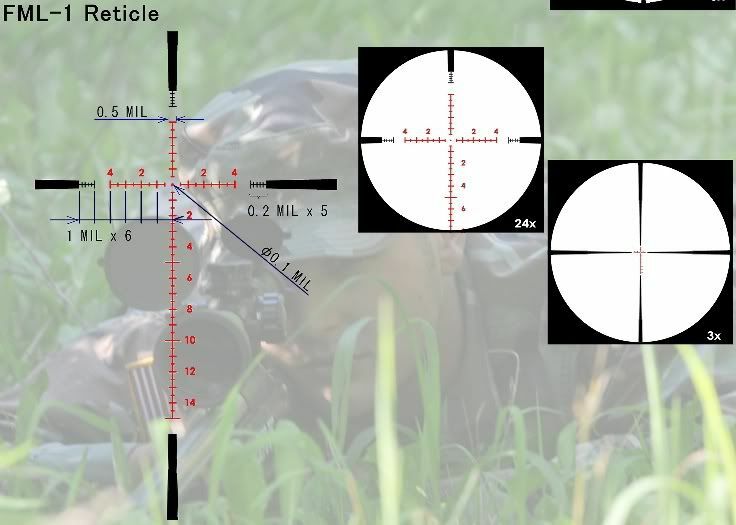 Nevertheless, S&B’s P4F reticle offers the thinnest lines in this group (0.035mrad vs 0.05mrad for the SWFA SS and 0.06mrad for Vortex, Steiner and Premier with March and Bushnell reticle being a bit thicker yet) making it appealing to target and competition shooters who have to engage very small targets. It also has the largest adjustment per turn available here with 13mrad. To be perfectly honest, I think this scope is going to sell like hotcakes for Premier. It is optically fully equal to the 34mm model (i.e. absolutely superb) and seems to be very good mechanically. The tradeoff between the 30mm tubed Light Tactical and the full size 34mm model is pretty simple: you save $500 by giving up some overall adjustment range, locking eye-piece adjustment and tool-less turret reset. You also have to settle for 6 mrad per turn knobs. However, you end up with a notably lighter scope and extra $500 in your pocket. For the most part, this scope competes against Nightforce F1 3.5-15×50 and for my money, I will go with the Light Tactical. Of course, time will tell how durable this design is, but the two scopes I looked at held up just fine. 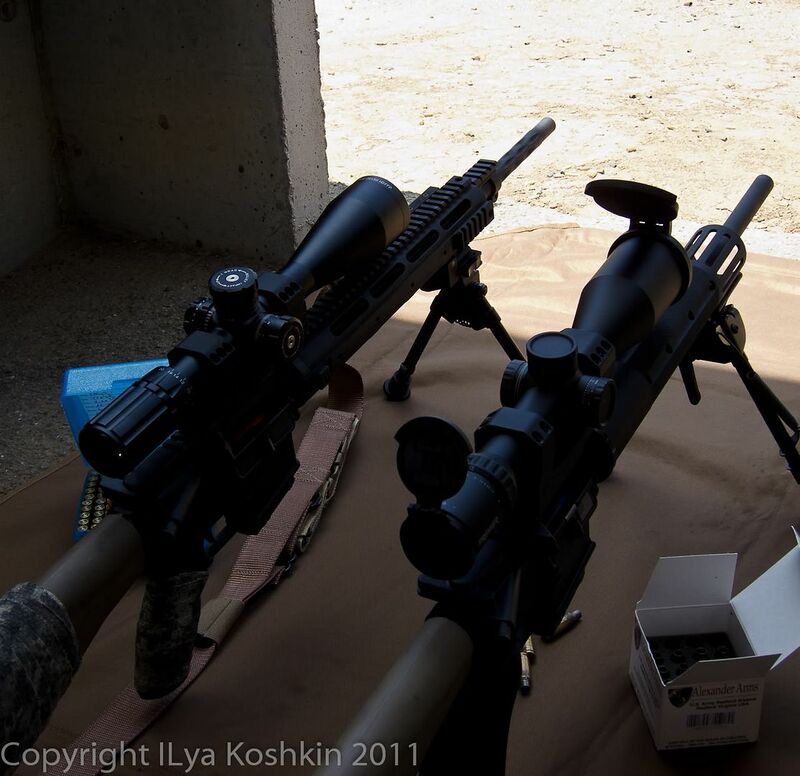 Both were equipped with Mil-Dot Gen II reticle which I am very well familiar with and like. With one of the LT scopes I found an interesting optical artefact that I asked the guys from Premier to look at. Under ultra-high contrast conditions, I was able to discern thin blue lines radially symmetric around the optical axis and only present on tangential interfaces of the reticle. I have since discovered that several top end scopes have this phenomenon to varying degrees, but I never paid attention to this before. The guys from Premier tell me that their chief optics nerd looked at it carefully and came up with some sort of an explanation that made sense but they were not sure how to translate from German (I hope that he did not simply tell them that the shmuck with too much time on his hands who found this should go shoot a few rounds and not worry about silly things). I plan to ping them on that again since I am quite curious to see the explanation. The other Light Tactical I looked at had this artifact as well, but it was a lot less pronounced. Interestingly, I could find no impact whatsoever on image quality. This is clearly some sort of a chromatic aberration-type effect in the relay system, but if it has an effect on the overall image, I can not see it. In use, I found that the LT is at its best in a 20MOA mount that allows me to get full use of the double-turn knob. Once properly set up, 12 mrads of available elevation are sufficient for almost every need I may have. For example, when mounting on the 264LBC chambered AR-15 (below right), 12 mrads gets me exactly to 1000yards, which is the effective limit of how far this rifle can reach. While the Light Tactical is not as ligh and compact as March, it makes a superb match to both the AR platform and precision bolt guns. As things stand right now, if I was looking for a “full-size” tactical scope, Steiner and Premier would probably be at the top of the list for me among the $2k+ crowd. I am not sure what Hensoldt and S&B offer me for the extra cash they cost (once again, this is for my personal tastes in scopes), keeping in mind that since I do not shoot guns for a living I am quite willing to accept the potential uncertainty of a new product like the Steiner. For a lighter weight rifle, March and Premier LT are the contenders and this can get a bit tough with March being somewhat more full-featured and lighter, while the LT offers a 50mm objective lens for not much more weight. Generally, for an application where 12 mrads of adustment are sufficient (i.e. just about any cartridge that runs out of steam at around 1000 yards or so), the LT is a very strong contender. After working on the previous installment of the High End Tactical series, I was so impressed with Aadmount single piece mounts that I bought a few of them and I used them for this article. They continue to return to zero with boring regularity. Recently, Aadmount came out with conventional rings and I got my hands on a 30mm pair that the SWFA SS was mounted in. They ended up as boring as the single piece mounts: I found nothing to whine about. They are remarkably light for how sturdy they seem and they return to zero remarkably well. I expect to slowly switch a lot of my rifles to Aadmount rings as time goes on, unless someone manages to invent a better mousetrap. For the March, I used a Nightforce Uni-Mount since I was looking for the lightest option available and the Uni-Mount seemed to be it. It also worked well and returned to zero without much fuss. By the time I got my hands onto the Bushnell 3.5-21×50, the only 34mm mounting option I had was a pair of vertically split Warne rings. They are not quite as good as the Aadmounts, but they are serviceable enough if you set them up carefully. For all of the mounting I used Borka Tools torque wrench. Only one scope in this test ended up with serious ring marks and I was able to track that down to user error: I lapped the 35mm mount I used for the Razor, but then I accidentally rotated the ring caps. I suppose there is no cure for stupidity. It is a testament to the durability of the Razor that it worked like a charm despite the incorrect mounting. I was curious whether it had an effect on optical performance, so I retested the Razor after removing the mount and found no change in performance. I suspect that Vortex guys may have designed it with morons like me in mind.